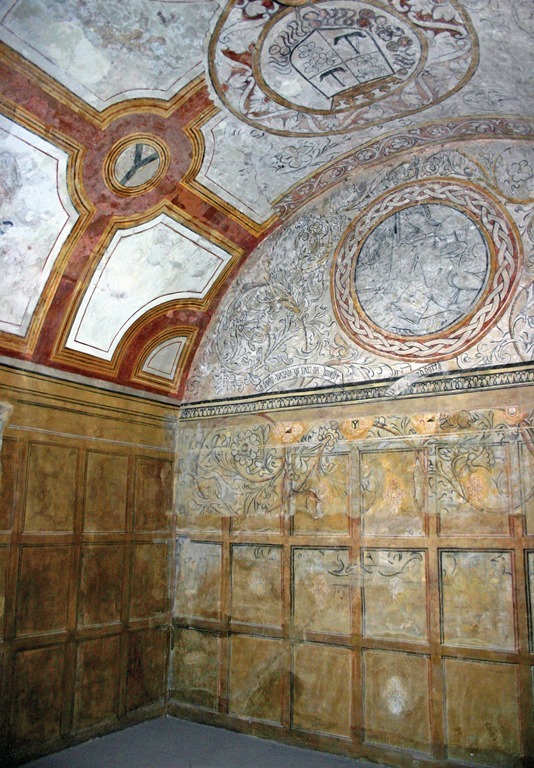 VISITORS will get more chances to see inside historic Kinneil House in Bo’ness in 2014. Eight open events – two more than 2013 – have been planned by The Friends of Kinneil charity and Historic Scotland for the year ahead. The free openings have been organised to tie in with national initiatives – like the launch of the new, cross-Scotland John Muir Way, the Festival of Museums and Doors Open Days – as well as local events like NatureFest, the Bo’ness Fair and Big Roman Week. The imposing Kinneil House was once home to the powerful Dukes of Hamilton. The building dates back to the 15th century and boasts some of the best renaissance wall paintings in Scotland. The House sits within a public park – Kinneil Estate – which, in turn, is part of the Frontiers of the Roman Empire World Heritage Site. The line of the Roman Antonine Wall is close to the House. Click the links on particular dates for more info. Maria Ford, the Chair of The Friends of Kinneil, said: “We’re delighted to be working with Historic Scotland to open up Kinneil House to visitors in 2014. To give people more chance to see inside, we’ve added some additional open days for the year ahead. We’ve also trimmed the length of some of our open afternoons slightly, so please check times before visiting. Last admission is always 30 minutes before closing. The first event on March 15 has been organised to tie with the Hippodrome Festival of Silent Cinema – http://www.hippfest.co.uk – running at the nearby Bo’ness Hippodrome, Scotland’s first purpose-built cinema. Other open days will also tie in with special events. In April, the new John Muir Way – a long distance trail across Scotland – will be formally launched. Kinneil is part of a 130 mile network of paths, running from Dunbar to Helensburgh. To celebrate, Kinneil House will be open over two days on April 26 and 27, with guided walks planned around the stunning Kinneil Estate. On Friday, May 16, the House will be open to tie in with a special evening event at Kinneil Museum – part of the Scottish Festival of Museums and the UK’s Museums at Night celebrations. There will be access to the House between 6 and 7 p.m., plus a nature/bat walk in the grounds as dusk falls – and activities in Kinneil Museum. The event will also form part of the Falkirk district-wide Nature Fest initiative. June sees Bo’ness get all dressed up for its annual children’s Fair Festival. 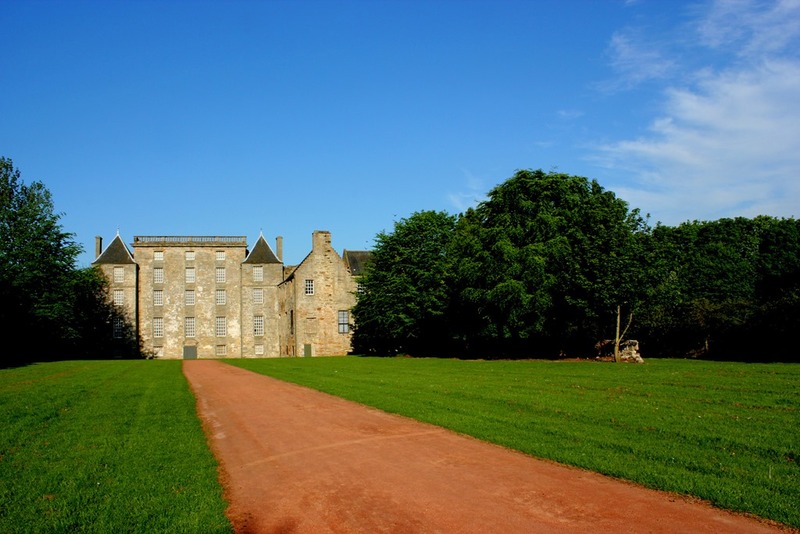 Kinneil House will open the day after the Fair, on Saturday, June 28. There will also be an additional opening on August 31. September brings Doors Open Days. The House will be part of the Scotland-wide festival, with free tours on Saturday, September 20. The opening will also co-incide with the Big Roman Week festival, which promotes Roman sites across Falkirk district. The remains of a Roman fortlet are close to Kinneil House. The 2014 programme will end with a Hallowe’en themed opening at Kinneil House on Sunday, October 26. The House is reputed to be haunted by the ghost of a white lady. Across all the events, volunteer guides from The Friends of Kinneil will be on hand to tell visitors about the House and its amazing history, supported by staff from Historic Scotland. Amy Mack, Regional Tourism and Community Manager for Historic Scotland, said: “We are pleased to be working with the Friends of Kinneil to extend the opportunity for visitors to enjoy this magnificent property. We greatly appreciate the time and effort of the Friends – who volunteer their time to make the open days such a success. Falkirk Community Trust is opening Kinneil Museum at additional times to tie in with Kinneil House open days. Some refurbishment works are planned in 2014, so please check before visiting. Call the museum on 01506 778530. The facility is normally open from Mondays to Saturdays from 12.30 p.m. to 4 p.m. Admission is free. 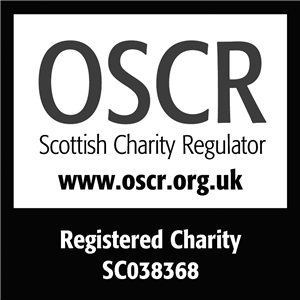 This entry was posted in Uncategorized on February 3, 2014 by Friends of Kinneil.